The closing procedures of Cloud Solution’s share offering are now done. The primary goal of Cloud Solution’s share issue was to raise a minimum of 450,000 NOK. The goal was beaten convincingly as the final amount raised was settled at the highest investment range 1,012,500 NOK. The Oslo-based Cloud Solution’s Cloud Insurance offers a globally scalable software platform for the insurance industry.Cloud Insurance is currently used to serve the insurance market in 15 countries across five continents, including India and China. Cloud Insurance promises to reduce time-to-market for insurance companies in the need to move faster. “We are thrilled to see our first Norwegian case close successfully! Cloud Solutions is an excellent example of an ambitious fintech startup with great potential and a scalable, global business model. Their offering received a lot of interest among investors in several countries, and we believe they have a great future ahead”, says Invesdor CEO Lasse Mäkelä. “We have been profitable from day 1 and now we wanted to invite new strategic partners to join the next phase, which involves launching the service to the world with a clear ambition to gain a significant market share. First stop is the USA”, says Cloud Solution’s CEO Axel Sjøstedt. “Equity crowdfunding allows Norwegians to invest in domestic startups that are starting their international expansion. We want to offer a safe and simple platform for managing crowdfunding rounds and one of our partners in helping us do that is Norwegian Signicat, who allows our users to use local electronic authentication services. 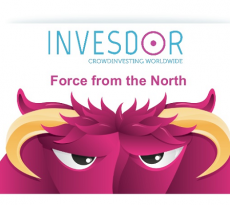 We are the first licensed equity crowdfunding service in Norway, which means we can boost a business with an injection of new capital, with potential investors coming not just from the Norway and EU, but across the world”, says Invesdor CEO Lasse Mäkelä. 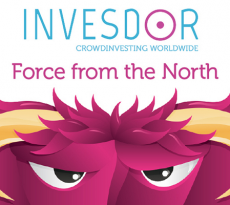 Invesdor is a Helsinki-based financial technology company that runs a pan-European debt and equity crowdfunding service. 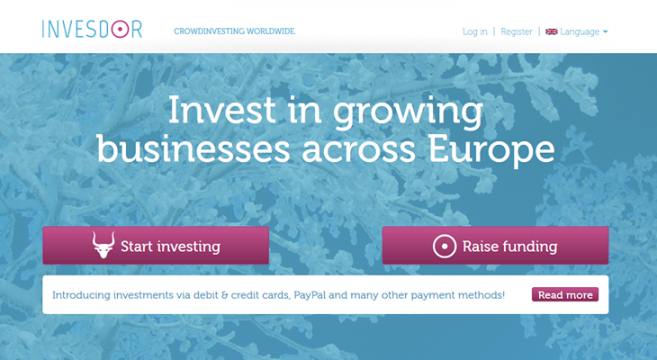 Invesdor was founded in 2012, and has so far facilitated the raising of more than €11 million for 50 crowdfunding projects.